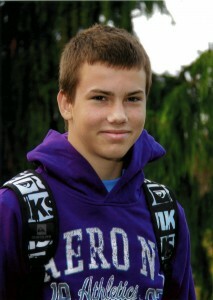 Every time I learn about another teen suicide, it wrenches my heart. Sometimes, I even get overwhelmed writing about them. And, sometimes, I just cry. That was the case as I read about Brenden Lumley’s suicide, which occurred on December 9th, read over some of the information, and looked at some of the pictures that his loyal and devoted friends and family are posting on the facebook memorial page that has been set up, by them, in his honor. Nothing, though, moved me more than a letter Brenden’s mother, Sherry, wrote to the assembled group of friends and family. She spoke openly and honestly about the wonderful 16 years she was able to spend with her son and how incredible of a young person he was; she spoke of the “bully” that claimed his life; and, she passionately reached out to other young people who may be dealing with depression, as well. And, she made me cry. Thank you everyone for joining this group, in support of the most amazing person that I have ever had the pleasure of knowing….my son….my life….Brenden (Boo) Lumley. 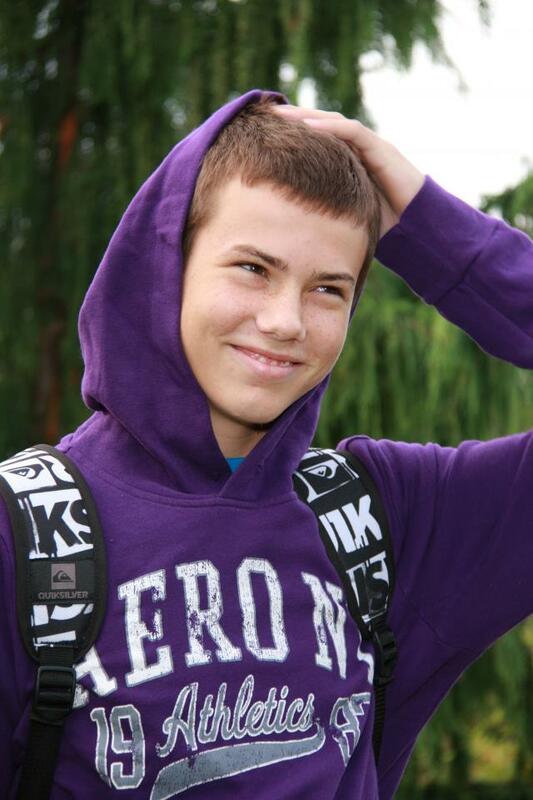 What strikes everyone the most when they think about Brenden is his amazing smile, his laugh and what a great loyal, honest and trustworthy friend he was. I know he will be missed by so many, and I really feel that he would want me to share a few things with all of you…his family…his friends…and anyone who has been affected by this tragedy. Most important, Brenden never meant to hurt anyone; he just could not deal with the pain and the rage that tormented him inside. He did have so many loyal friends, and he had his big brother who always tried to protect him and guide him. And, of course he always knew that he had me, his mommy, and he knew that I loved him more than life!! But, where he got stuck was not wanting to bother any of us with his pain, he didn’t want to put that weight on us, even though we tried so many times to encourage him to let us in, But, he did not want us to hurt the way that he hurt, so he trapped it inside. Depression robs us all of any peaceful thoughts…it allows u to believe horrible things about yourself and eventually if you allow it to….it will close of any light in your life until we feel so alone that you feel like there is no other choice!!! That is simply not true at all!!! It is worse than any other disease because it can only be diagnosed by your heart, and the only cure is for you to be humble enough to accept the help from the ones that love you…which is very hard for some people to do. Brenden thought it was impossible. Depression is the worst bully and one that we cannot just lock up in jail and throw away the key!!! Please know from me personally some of the pain and effects of suicide. Brenden left behind a brother who feels like he couldn’t protect him, a step brother who feels lost without him. Two sisters that are scared to walk freely in our home because of the terror that we all still feel from what we witnessed that night!! A mommy and dad that feels so much guilt, so much loss, broken hearts and the most unimaginable pain every moment of every day!! We are frozen in time, and our world will NEVER be the same!! It will take years for us to rebuild this home again and to fill it with peace, happiness and love again! Please honour Brenden’s name and stand up against depression, please talk to the people who love you…believe me…you are not alone even…but depression will tell you otherwise! I promise right now that if anyone ever feels alone, I WILL be your friend. I CAN help you. I WANT to help you. I WILL find someone to help you! Brenden would not want any other family to go through this pain and what we have been through. Don’t be scared…don’t be too proud…seek out the ones that love you, they want to help you….and if you really don’t think you can find anyone…I AM HERE. I was here for my Boo, but he could not take my hand. Please don’t make that same mistake. Thank you all again for your love and support. With bullying and the terrible effects it’s having in school and online today, there’s a tendency to overlook the fact that not all teen suicides are a result of bullying. Although there are no “official” statistics, due in part to the fact that bully-related suicides are enormously downplayed, depression plays a major role in many, if not the majority, of teen suicides. It was depression that claimed Jamie Hubley’s life. It was depression that claimed EricJames Borges’ life. It was depression that claimed Brenden Lumley’s life. There are more…many, many more. 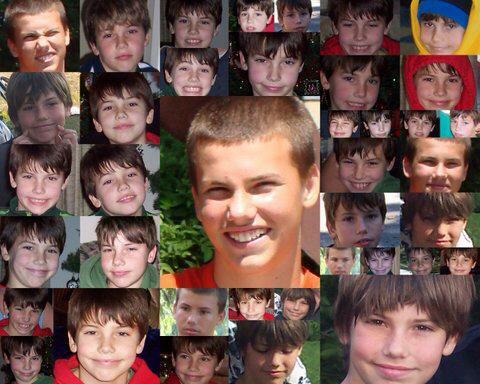 Brenden was surrounded by an overwhelming amount of love and support. The depression lied to him an convinced him otherwise. That’s a common trait with that disease. I was told by one of Jamie Hubley’s family members that he, too, was completely surrounded by lots of love and support. I know that to be true. Like Brenden, he couldn’t see it. The depression wouldn’t allow him to. It’s time that we, as a people, remove the stigmatism of mental illnesses, depression in particular. As we’re seeing over and over, depression can be deadly. If we’re truly concerned about changing this climate of young people feeling so alone and hopeless that they fell ending their lives is the only way out, it’s imperative that we begin to put into place mechanisms for them to better deal with their depression. Whatever it takes. Whatever will spare another family from having to go through what Brenden’s is going through right now. Rest in peace, Brenden. You were loved, and are missed, by many. Now i’m crying..:(…Thank you for naming the bully so eloquently…It is an isidious disease…that needs to be acknowledged and embraced…so one doesn’t feel embarrassed nor humiliated to name it themselves. That poor kid…that poor family. God Bless them and heal them with love from others. It’s hard to believe that when people mention bully, the first thing to pop in your head is another person. But as this article states, that is not always the case. I lost my brother to depression seven years ago. He to was surrounded by complete love and support. Sometimes you can only do what you can do. I felt so guilty about his death that I struggled with depression deeply and still struggle with it now. My thoughts and prayers are with this family and also with Brenden. You are right, the 1st thing in my mind was another person. I suffer from severe depression, fortunately I finally was introduced to medication that works for me, not all people are that fortunate. It was one of the hardest things I ever did was to admit I cant get over this depression by myself, I need help. I thought oh no people are going to think im crazy, weird, weak… Well guess what I was able to get my depression pretty much under control. I still have my days but I can recognize it now, it passes. You need to get help, dont be ashamed. Sometimes I look around and think other people are suffering from depression, im not alone, it helps me not to feel so alone, depression is very common these days. I dont know anyone that does not have some form of depression.Today I can raise my head and say I suffer from chronic anxiety, severe depression and P.T.S.D. Its amazing how many people will open up and say, me to. I have made several friends by standing up and saying it. Some people cant and I feel horrible for them, absolutely horrible.There is help out there, and 99% of the time you will get a counselor thats been there, been through depression, some still are, they are very compassionate people that will help you. I do know thats not easy with a teenager, they are afraid people will make fun of them, belittle them… I know I have suffered since I was 12 yrs. old I am now 48, please get help, lets STOMP out this BULLY named depression!!! Please get help!! My name is Julie Zicha and I have founded a non-profit organization in honor of my son Ryan who passed away January 14, 2011 of suicide. My beautiful amazing son was only 19 years old when he died and he too died from too many years of being bullied, harassed, shamed, demoralized and being made to feel as if he was either a moral deviant or defective by the community that we lived in. At his memorial I heard the following words from the school administrators who attended “We could have done more for your son to help but we didn’t”…those words will ring in my ears every day for the rest of my life and as painful as they were to hear, they summarize the overall environment that LGBT Youth face all across our country every single day. Each time I read one of these stories it just breaks my heart all over again; to see these tender souls have the light extinguished as if they were a match just tears me up inside. It was that pain and the inspiration I found in all of the messages I received after my son died from others who had been touched by Ryan that moved me to found Ryan’s Rainbow Connection. My son had taken to counseling other LGBT youth in our own community and all across the country via the internet prior to that horrible night when he succumbed to the hatred and torment himself; he often (literally) held the hands of other LGBT kids while they told their parents that they are gay and spoke with other kids late into the night as they were agonizing over whether or not to live openly or not. After he died we starting receiving messages from all around the country and they all said basically the same thing “Ryan touched my life in a way that no one else ever has” so in his honor I continue with the fight. Aaron Dugmore, 9!!! : Bullied to Death Because of RACE! !